This is the Roughneck Joe 2.0 uniform, based on the Original Johnny Rico uniform, with some improvements. 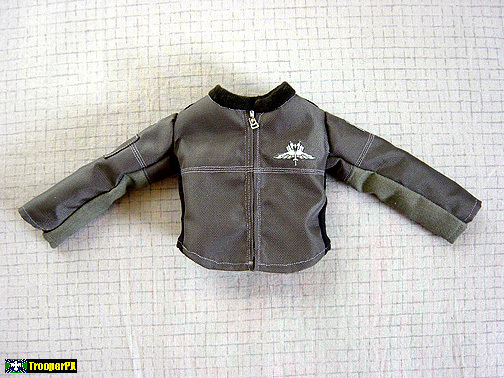 A custom-made uniform for the 12-inch 1996 Classic Collection GI Joe action figure (...however, it will now fit any 1/6-Scale figure by Dragon, BBI, Elite Brigade, Ultimate Soldier, etc.). 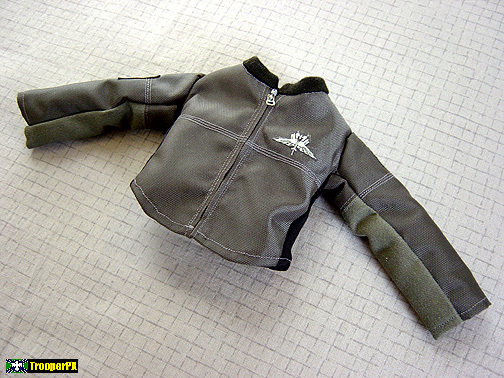 It is patterned from the actual film-used props. There are 54 individual pieces in each Roughneck Joe uniform. Materials used here are the same as in the actual props. 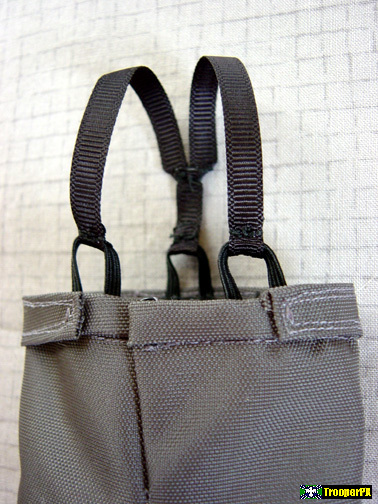 The same shade of codura nylon was found (waterproof backpack material) in a smaller weave called "pack-cloth". This works very well to scale under closer inspection. The M.I. 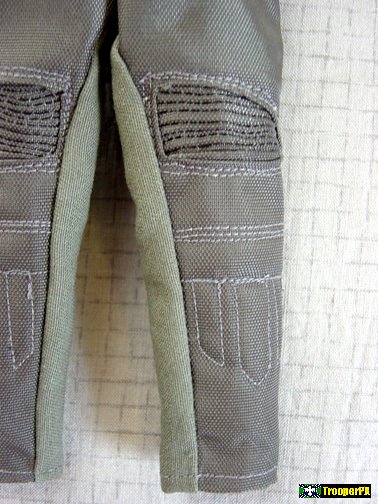 tunic has three miniature fabric patches. As a feature, they are carefully cut out and now glued onto the sleeves and chest. 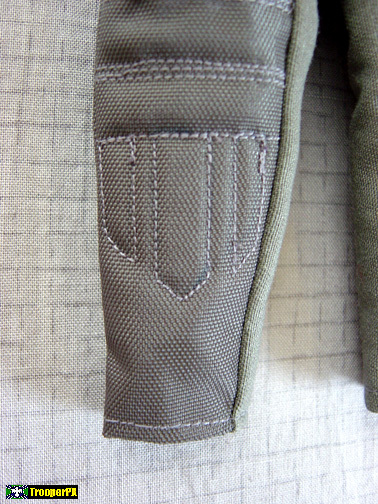 The faux pencil pocket is stitched to the right arm. A soft knit roll collar finishes the neck while seedbeads represent snaps on the epaulettes. 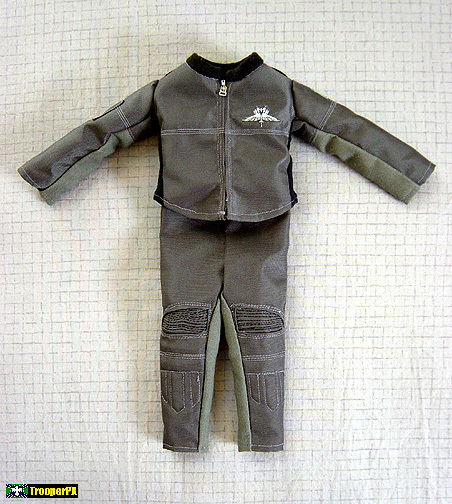 A real working miniature zipper showcases the tunic. All seams have a double topstitch, just like the actual tunic, with elastic sides and vented underarms to keep Roughneck Joe cool and in style! 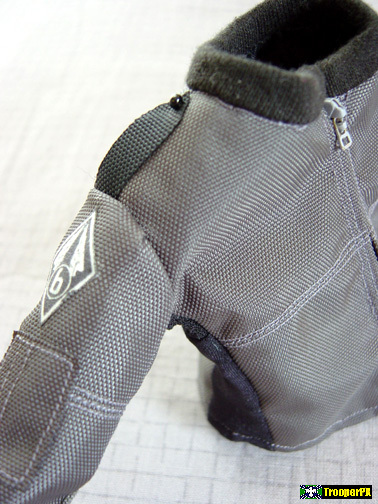 The sleeves are two-tone and made from five pieces, including the armored forearms. 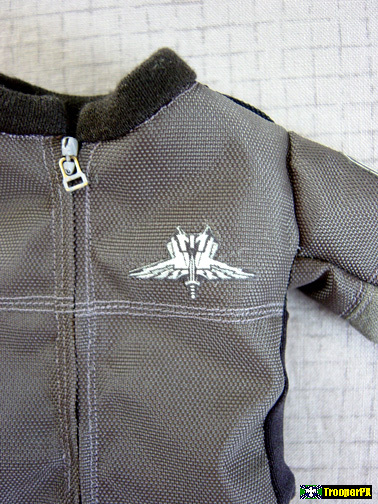 polyester fabric even lines the sleeves, giving it that finished look. Elastic suspenders, with suspender loops, keep the pants in perfect position whether he's standing at attention or relaxing between drops. 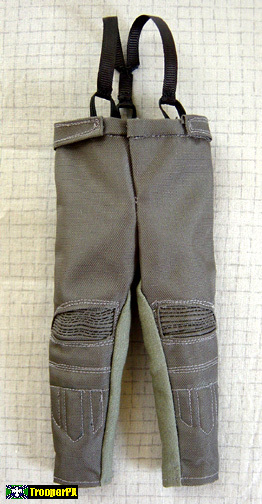 The knees feature a six-inch piece of pack-cloth that has been pleated into a bellows. 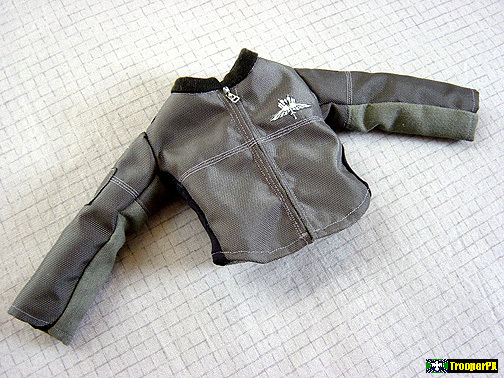 This flexes when bending the figure's knee, just like the real pants. 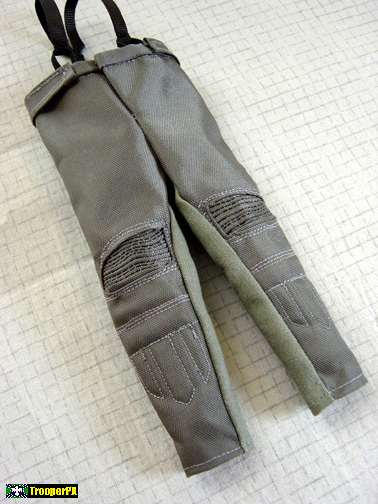 The shins are padded and topstitched. As a feature, the stirrups have been left off, to help it fit a variety of figures. 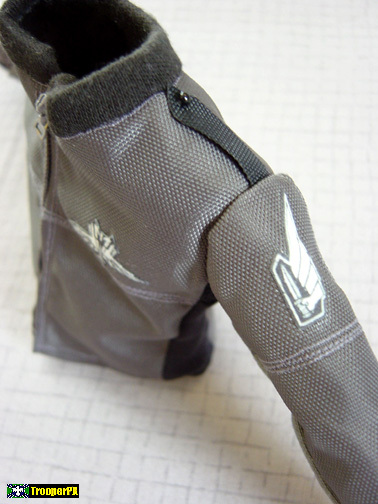 The padded lower back brace wraps around the waist to the sides, and a working snap closes the fly. 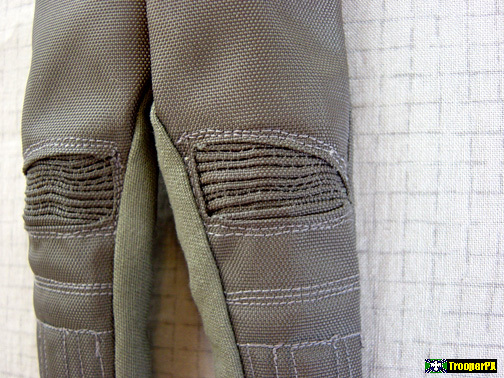 The inseams are two-tone as well.